Learning how to set high quality intentions rather than poor quality resolutions is an essential skill for anyone who wants to create change in their lives. How many times have you or someone else set a new year resolution on the first of January only to break it a few days or weeks later and then feel like a failure and give up trying? These tips are designed to help you set intentions and keep them, regardless of the results that may or may not be achieved! Start by focusing with one simple intention for say one month. Think of something you are reacting to in a negative way and create an intention for how you would prefer to respond to the trigger in a positive way. Review your results at the end of each day, a journal can be useful here. If you did not fulfil your intention then be kind to yourself and try again the next day, self compassion is key. Play around by setting mini-intentions for meetings or short duration activities or events, perhaps your in-laws are coming to stay and you know they can trigger you. You could set the intention of not reacting, showing empathy, really listening, observing your breath, being aware of your thoughts but only one of these of course. Keep it simple. There are no hard and fast rules of what an intention can be. Have fun. Use intentions for your meditation practice. 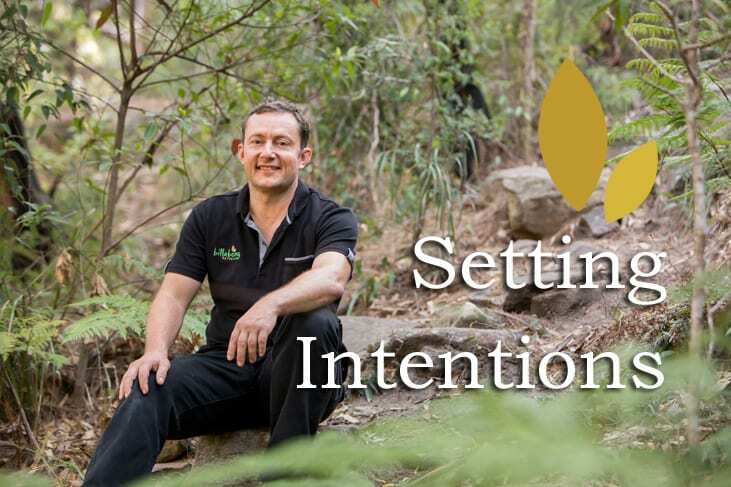 Set a high quality intention to stay focussed on your meditation technique of choice and when you notice your mind has wondered have a little silent giggle to yourself about your cheeky monkey mind and then bring yourself back to the meditation technique. It does not matter how many times your mind wonders because it does not make you a good or bad meditator. The only thing that matters is the quality of your intention.